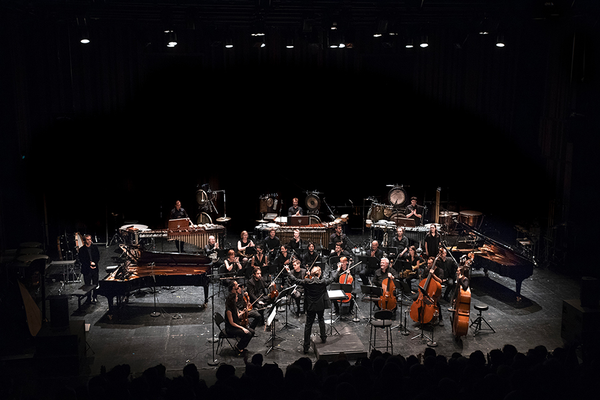 The ULYSSES Ensemble, created by the ULYSSES Network, is an ephemeral ensemble, that tours five major European contemporary music summer events: IDEA–International Divertimento Ensemble Academy, Fondation Royaumont, ManiFeste, Gaudeamus, IEMA. Thirty young European artists age 18 to 30 have been selected especially for the occasion. 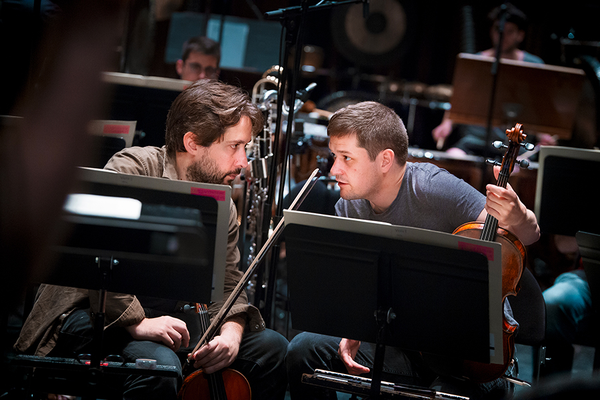 During their tour, the ensemble has the opportunity to work with leading conductors and performers. 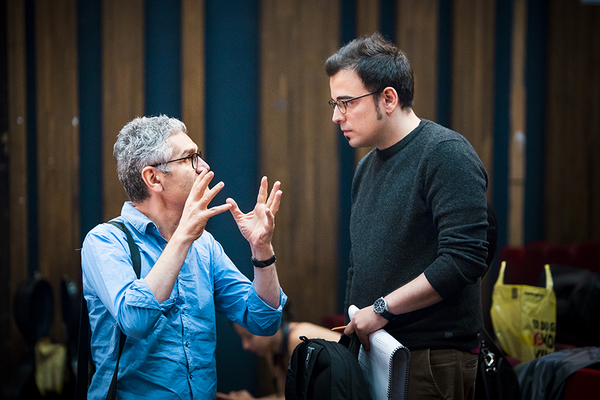 After the stop in Frankfurt with IEMA-Ensemble in May, in Bobbio and Milan with IDEA/Divertimento Ensemble at the beginning of June, two workshops followed one after the other at IRCAM’s festival ManiFeste 2018, from 18 to 30 June. 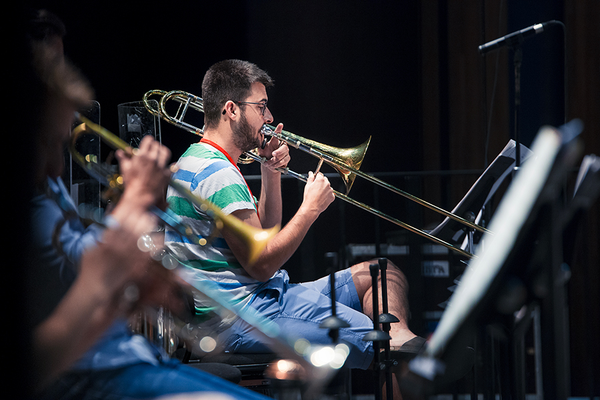 During these two weeks, the young musicians had the opportunity to rehearse at CENTQUATRE-Paris, an atypical space for free artistic practice, residencies, production and promotion for the public and artists from all over the world. 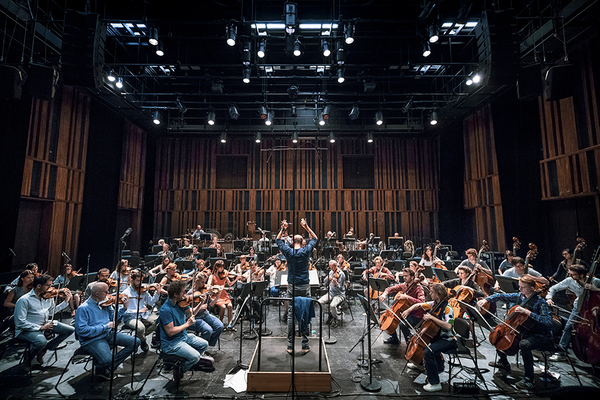 This interpretation master class for orchestra offered young musicians from the ULYSSES Ensemble to work alongside musicians from the Orchestre Philharmonique de Radio France, rehearsing and performing sketches written by young composers from the academy as well as Hymnen (Dritte Region), a monumental work elaborated by Stockhausen from 1966 to 1969, introducing the musicians to electronics. The musicians, who already met each other during the first two stops in Germany and Italy, were reunited at their Hotel next to CENTQUATRE on Sunday 17. The next day, all of the 141 ManiFeste academy participants were welcomed at IRCAM. 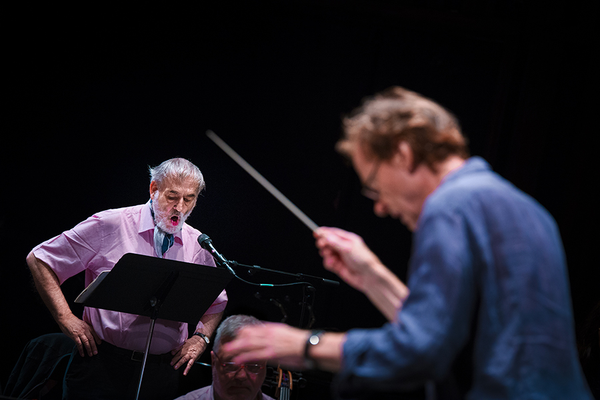 In the afternoon, rehearsals started with the Orchestre Philharmonique de Radio France musicians, the 8 young composers, and maestro Peter Rundel. 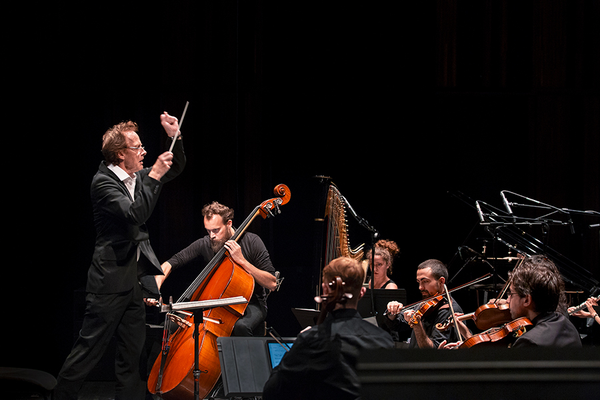 After a week of intense work, the concert took place at CENTQUATRE concert hall, on Saturday 23. The first workshop ended with immense applause from the audience, that discovered the 8 new works written by the young composers and had the opportunity to hear Hymnen, the beautiful and rarely interpreted work by Stockhausen. After a day of rest, the 14 young musicians were joined by 4 additional musicians for this master class. 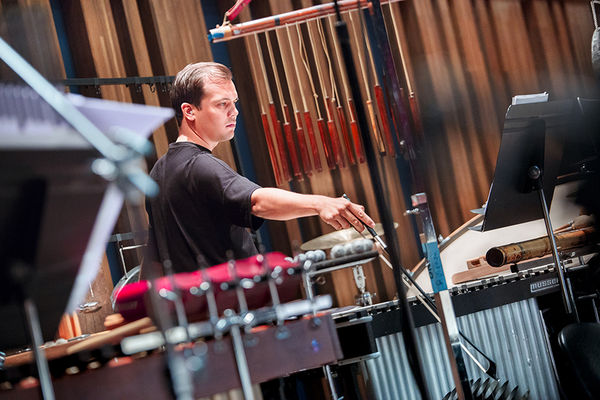 Working side by side with the Ensemble intercomporain musicians a week long was an intense but deeply rewarding opportunity for the musicians who learned a lot next to these specialists of contemporary music, under the baton of maestro Beat Furrer. 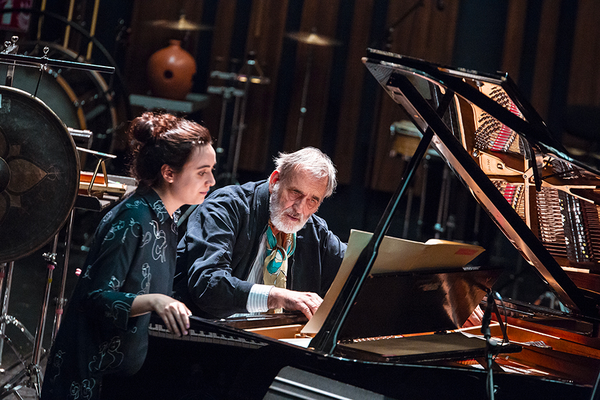 On top of that, Helmut Lachenmann was there to advice them and to perform in his own piece. Michael Jarrell took also part in the rehearsals of his piece. 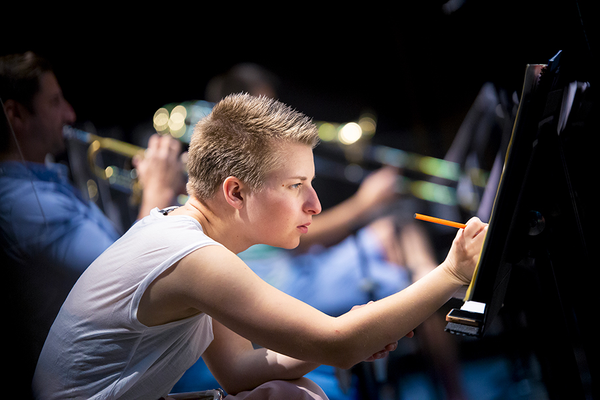 Surrounded by such incredible personalities and bound by the time spent to rehearse all together, the musicians gave an incredible performance during the festival’s final concert on 30th June, which marked memories. After the concert, the musicians, the academy staff and the invited artists received well-deserved acknowledgements and congratulations during a cocktail party to close their experiences in Paris.